Create will showcase collections of work by 8 award winning and established designer makers from across Scotland. 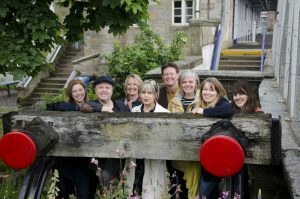 This year Sean and Christine Kingsley and Syrah Jay join James Donald, Joanne Garner, Claire Heminsley, Fiona McIntosh and Lara Scobie to show their unique designer-made craft. Opening times Saturday 5th Nov 10 – 5pm and Sunday 6th Nov 11 – 4pm. To get you in the mood CREATE will be hosting a golden hour for shoppers where they will be offering a 10% discount on sales between 11-12 noon on both dates, this is the perfect opportunity to purchase that special piece at a special price.